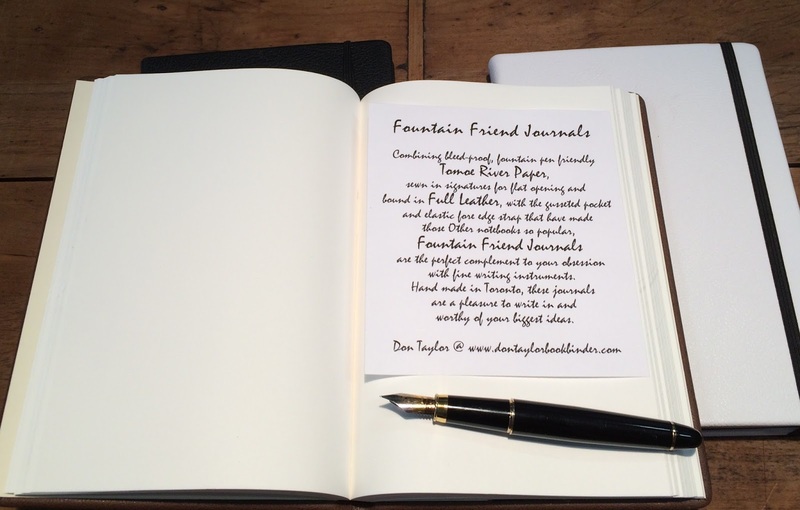 Our Tomoe River Paper Journals are specially designed for the fountain pen user. They come in 2 standard sizes, 8 1/2'' x 11'' and A5, and contain 400 pages (200 leaves) of 52 lb. white Tomoe River paper sewn in folded signatures for flat opening. Optional gusseted pocket inside the back cover, and elastic fore edge strap. These journals are bound in full leather in a variety of colours and finishes. 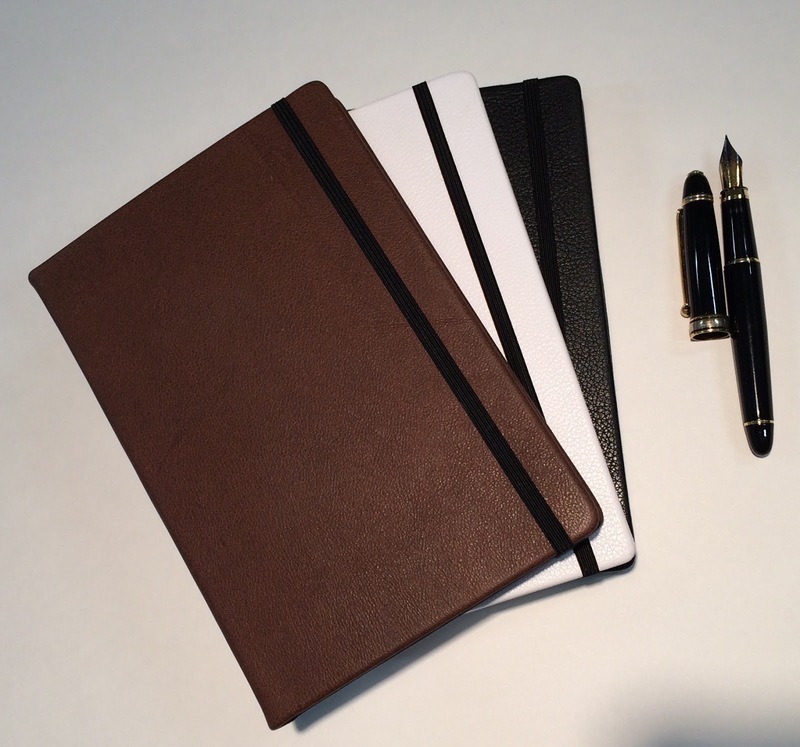 They can be personalized with your name stamped on the cover. A pleasure to own and use with your favourite pens. Custom sizes, colours and thicknesses available on request.